A Toy Shop for the toys, only in Sylvania! 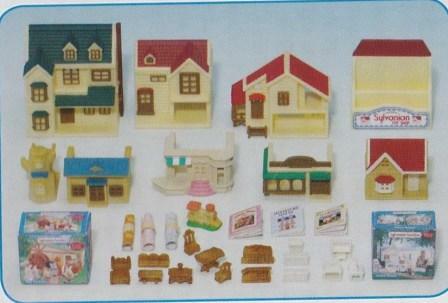 Some of the most popular Sylvanian houses are available in this magic toy shop. Do remember that many of these parts are the "toys for the toys" so to speak, hence very small! Possibly released by flair circa 2005, included Betty Hazelwood and Oliver Bearbury, probably other versions on the same shop, as we seem to have additional toys! A newer release is by Epoch recently on a bigger shop.